Cozy Catastrophes is the solo recording project of Greg Adams. Using guitars, bass, Casios, Moog, glockenspiel and drum machines, and inspired by twee pop, Swedish pop, self-help books and Bobby Rydell’s sweaters, Cozy Catastrophes creates music for teen-age record hops, in-town driving, and lonely hours. The Bloomington, Indiana, resident released his debut album, An Instructive Amusement, in August 2013 on his own Beehive Rebellion Records. The homemade, bedroom-pop recordings of the debut album were clever and slightly cute. Any song called “I Wish This Sweater Were You” was already going to be a big hit among the two of us at February Records. 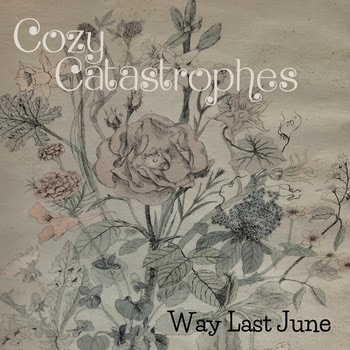 The new Cozy Catastrophes EP, Way Last June, is a bit more electric, but the songwriting is still just as clever as the debut album.